One person has died after a light aircraft crashed in Norfolk. A man has died after a light aircraft crashed in an airfield near the town of Bungay this afternoon. Emergency services were called to Denton Road near to the Hardwick airfield at 3.38pm after receiving reports that an aircraft had crash landed. 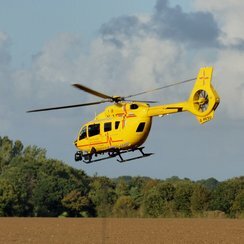 The passenger, a man in his 80s, was sadly pronounced dead at the scene whilst the pilot, a man who is in a serious condition, was airlifted to Norfolk and Norwich Hospital for treatment. The road remains closed while investigations are carried out and local diversions are in place.